Posted on August 1, 2016 at 12:38 pm. 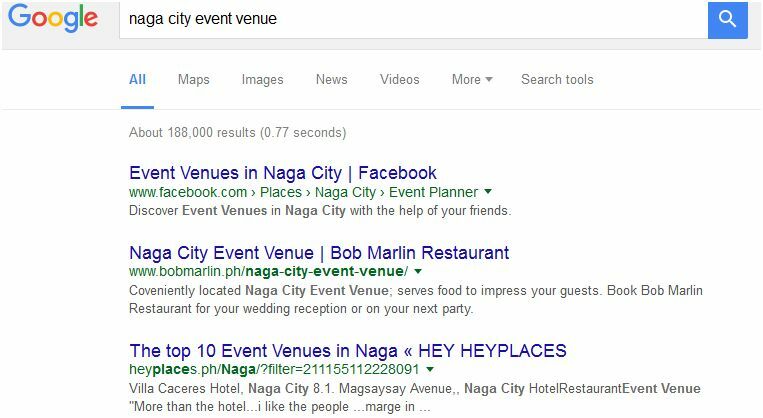 Granted, Bob Marlin Restaurant is already a very big brand in Naga City and a restaurant on every tourist’s to check out list when they come over to Naga City. This is not to say though that this big local brand had serious weaknesses when it comes to their online presence. 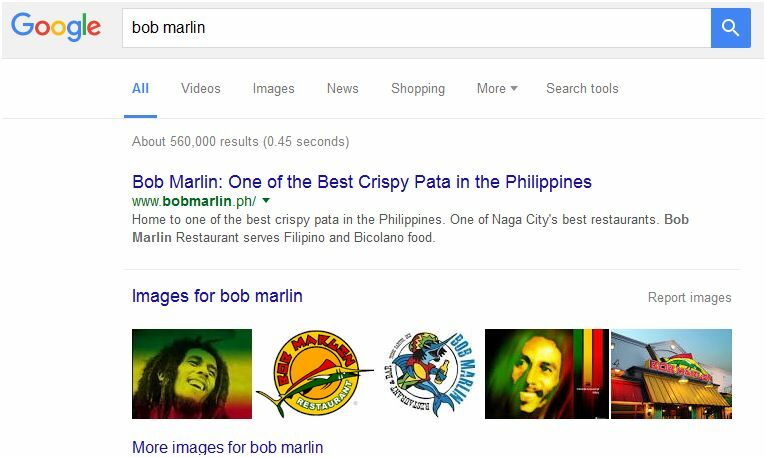 For one, it’s website was not even showing up on the 1st page on Google search on “Bob Marlin”. 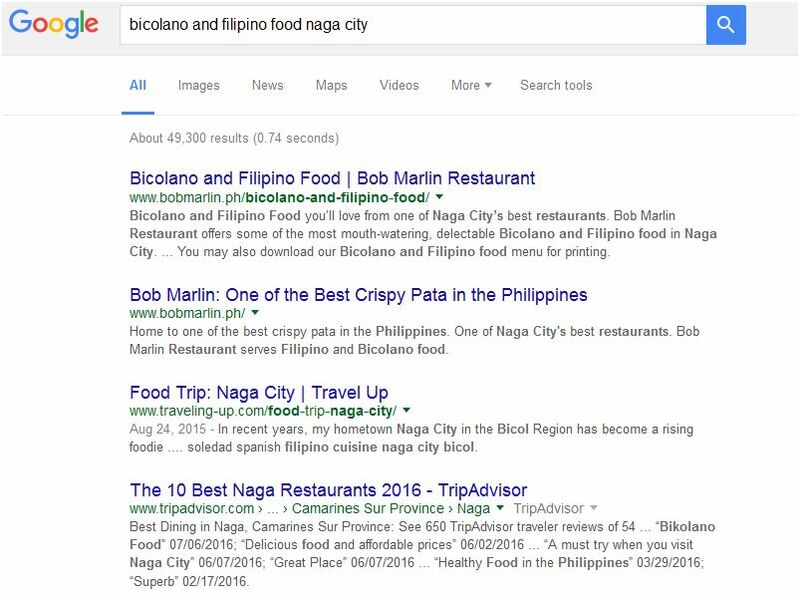 We did not mention the search ranking of Bob Marlin on the search terms “Best Restaurants Naga City” and similar search terms since food bloggers dominate the search result here and Bob Marlin is almost always mentioned in their posts. Suffice it to say, The Bob Marlin Website has already attracted quite a number of function room bookings because of the added visibility and website features. 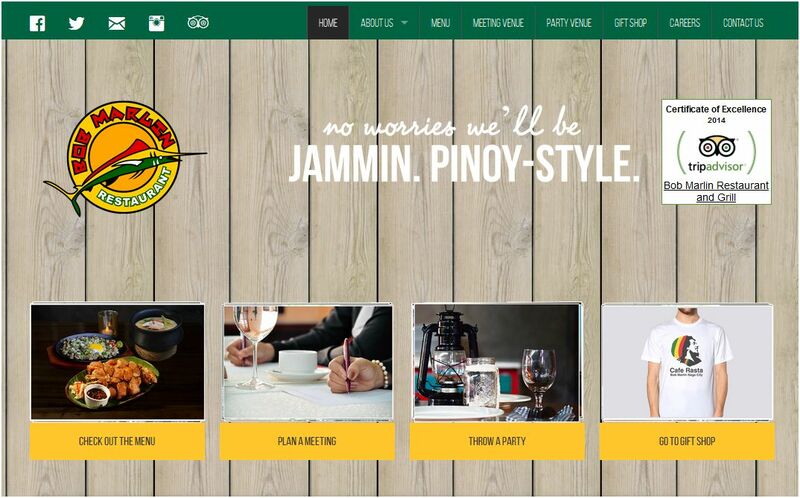 Bob Marlin has since then hired us to run online marketing campaigns for them such as for the opening of their branch in Legazpi City as well as general online awareness campaigns for Bob Marlin.